Blaine was great, knowledgeable and moved quickly. He really went out of his way to get me in my house. Time was not on our side and he did awesome ! I would highly recommend using Blaine when looking for a home ! Carla, always cheerful and energetic, worked hard to find the right home for us. Whenever we saw something we liked, she prepared the offer overnight for delivery in the early morning. In a seller’s market she helped us assemble a winning bid for our dream home. Nick is a great realtor and i am more than happy i choose him and his company Blue Crab Realty to represent me in the sale of my property. I have been through the purchase process of a property but this was the first time I was the seller. Nick and Blue Crab provided staging furniture at no cost and held several open houses. there were several challenges in selling my condo as the property was not FHA approved and the property management company had just taken over as the new managers. Nick was able to navigate through all the issues we had with the property management company not providing proper documents or insurance information to get the deal closed he was persistent and diligent in his efforts and prevailed at the end. If you have ever sold a condo a property management company can destroy a deal if they don't have proper documentation and insurance in place or if they just drag there feet when you request resale packets and so forth. We were able to close on time and everything went smoothly with little interaction on my end Nick handled everything from beginning to end. 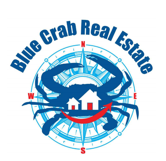 If you are having trouble selling your property or are just ready to sell or buy Nick with Blue Crab Realty is the guy to call. Thank you again for your professionalism and diligence and making the sale of my home your number 1 priority.